Tuesday – Sunday: 10:00-18:00 (Thursday's the museum stays open until 21:00). Arrive before midday to beat the crowds. The earlier the better. We are comparing Kunsthistorische Museum Vienna Prices from leading ticket suppliers and Try to find you Cheap tickets prices on the market. This fine art museum was built by Emperor Franz Joseph to house the imperial collections and first swung its doors open in 1891. It's now considered to be one of the most important museums in the worlds. The Kunsthistorisches is the largest museum in the country and houses artifacts from across five millennia. Home to artwork from some of Europe's finest painters including Pieter Bruegel, Giuseppe and Rembrandt. Enjoy exploring the imperial treasures on display including paintings from the Hasburg rule and the Old Masters. Visit the Kunstkammer collection to view the 2,000 objects of art that were collected by the emperors of Hasburg which includes model ships and automatons. Head to the Picture Gallery to witness centry-old fine art collections including works by Titian, Tintoretto and Veronese. Don't forget to look up at arcades of the enterance hall, here you'll see the beautifully decorated ceiling, painted by Gustav Klimt himself. Enjoyable for art lovers, culture vultures and historians alike. Architects will delight at the buildings grand exterior. Your Experience With Kunsthistorische Museum Vienna? Wander around the Kunsthistorische Museum in central Vienna admiring the fine art collections. Make use of the queue jump priorities to skip the line and head straight in to the gallery. Explore the museums three floors moving from ancient Egyptian pieces to works of classical antiquity before checking out the 18th century art. Enjoy works from world renowned artists including Rubens, Rembrandt, Veláquez and others. What Kunsthistorische Museum Vienna Includes? Doesn't include a private guide, audio tour or transfers. Begin exploring the museum from the top floor and work your way down, this is a great trick to avoid the crowds arriving later in the day. 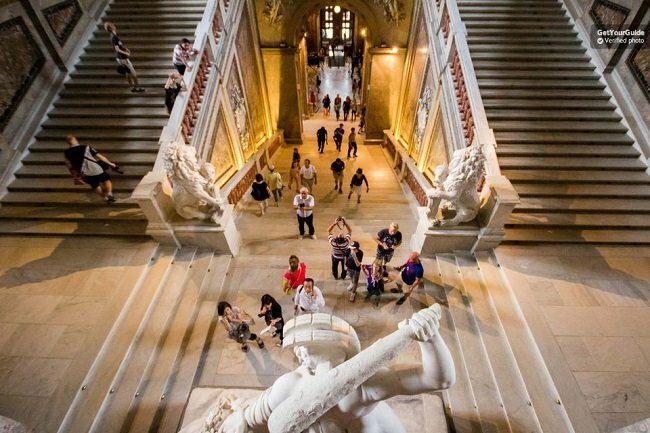 Travelers Reviews about Kunsthistorische Museum Vienna? The Kunsthistorisches Museum is rated 4 stars on Tripadvisor and has over 7,000 reviews. Many many customers have said the museum houses an impressive collection of art, sits in a beautiful building and is a must for art lovers. It's also noted that the museum staff are friendly and knolwedgable. This tour is accessible for wheelchair users but please advise your tour provider in advance. Printed or mobile vouchers are both accepted. Tickets booked through Get Your Guide and Tiqets can be refunded if cancelled 24 hours in advance. Tickets booked through Viator can be refunded if cancelled 7 days in advance. Check out the museums website in advance to see what temporary exhibitions are on. Make sure you wear comfortable shoes as the museum is spread out across a large area and the grounds are expansive. Kunsthistorisches Museum Wien Maria- Theresien-Platz, 1010 Wien. 1, 2, 3 or 6 day passes are available.